25 Sep 2018 --- With the onset of cooler weather in the Northern hemisphere, immune health is once again becoming an area of growing concern. Driven by increasing consumer awareness, the immunity ingredients space is starting to reach beyond classical vitamins, such as vitamin C, to include a broader range of well-researched ingredients. 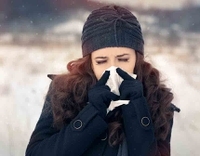 Immune health product launches are increasing, with Innova Market Insights data noting that food and beverage launches featuring an immune health claim increased with a CAGR of 18 percent in Europe between 2013 and 2017. One ingredient currently taking a leading role in meeting demands in the immunity space is yeast beta-glucan. Derived from common baker’s yeast, yeast beta-glucan has been found to maintain or stimulate the effectiveness of the immune system. Moreover, it has a positive effect on cholesterol levels, and research is being done to investigate its positive impact on blood sugar levels. Click to EnlargeAngel Yeast, founded in 1986, is one of the largest yeast and yeast extract manufacturers in the world with 12 factories in China, Egypt and Russia. Angel Yeast has since 2014 maintained an exclusive partnership with Van Wankum Ingredients for regions such as the US, Europe including Russia and Turkey. NutritionInsight spoke with Ed van Wankum, Founder of Van Wankum Ingredients, Jimmy Fu and Poshy Zhang, both of Angel Yeast’s R&D department, about the growing industry interest in, and opportunities for, yeast beta-glucan. "Yeast beta-glucan has proven to be a multi-purpose ingredient, capable of fortifying and supporting the immune system. Therefore, we are seeing explosive growth in the consumer market, including a continued increase in sport nutrition applications, for those who want to perform with a healthy and robust immune system," van Wankum says. Many consumers are now looking for products and ingredients that can support their health in a preventive manner. These consumers are open to taking supplements and vitamins as a preventive measure to stay healthy. “We believe that this market is growing very fast and will be the biggest consumer market in the near future,” Fu notes. Yeast beta-glucan can be used in nutritional and dietary products, dry-mix products, but also in a range of convenient formats such as granola bars, cookies, beverages and desserts. Yeast beta-glucan is an entirely natural ingredient and most people already consume it via natural sources such as wheat or oatmeal. These figures do not include pet food, fish and feed applications, but the suppliers believe that at this moment the market for this sector is more or less equal to that of the human consumption sector. The immunity space is a clear fit for yeast beta-glucan, but the ingredient is also gaining recognition in other health-related areas, such as wound care and cosmetics. Another key market for the use of yeast beta-glucan is the pet food and feed/fish industry. “This is also a fast-growing market, worldwide, especially since the use of preventive antibiotics in this market is prohibited. As an immune supporting active ingredient, it is used to ensure that animals are less susceptible to diseases,” they explain. “In terms of marketing, the biggest challenge is to convince and to win the trust of the consumer, as there are so many variations that a customer can’t always see or notice the effectiveness of yeast beta-glucan,” Fu notes. “We have seen the development of immunity products with vitamin C, which is the most consumed vitamin in the world, taken by millions of consumers worldwide. Although consumers do not feel or notice the short-term effect of consuming vitamin C, it remains popular because it is well known among the general public that vitamin C has a positive long-term effect,” Zhang says. “Marketing [surrounding health ingredients] is changing, and now includes social media as an excellent and important marketing platform,” they note. “However, the consumer doesn’t always know who to trust.” To remedy this situation, suppliers and distributors will have to boost their efforts in terms of consumer awareness and education. Although yeast beta-glucan has attained novel food status in the EU, van Wankum says that more research into the ingredient’s capabilities is always welcome. “We believe that the EU still needs some time to investigate the great abilities of yeast beta-glucan as an immune system supporter for human health and in the future will approve this health claim as well,” van Wankum concludes. Both Van Wankum Ingredients and Angel Yeast will be represented at this year's SupplySide West. 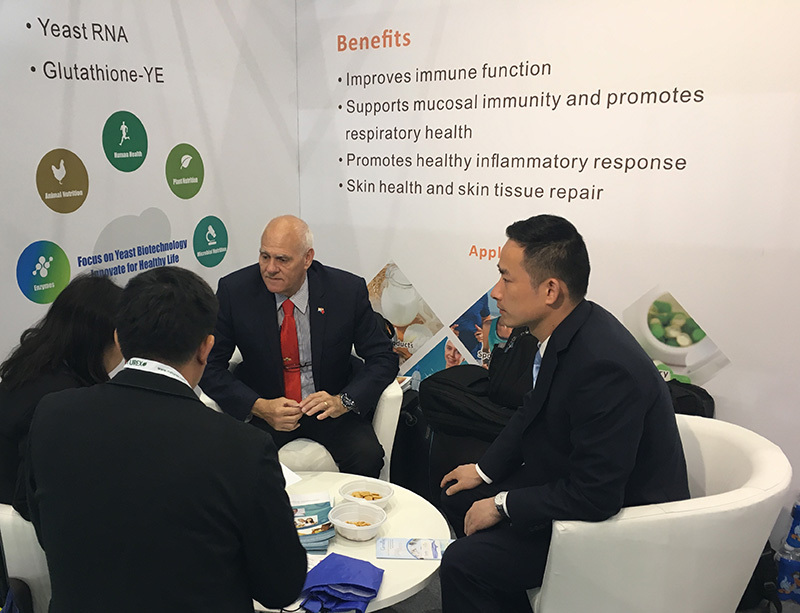 At the event, Angel Yeast will present a highly concentrated yeast beta-glucan which is water soluble and will widen application abilities.